Lessons and Adventures in Photography. The 2015 Coastal Edge ECSC completed on Sunday with the crowning of the pro champions. 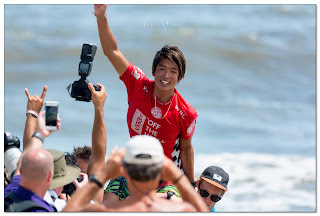 A huge congratulations to Kanoa Igarashi for taking the VANS Pro championship. Kano jumped out to an early lead with a 7.67 point ride. After Noah Schweizer, who placed second, closed the gap with 7.23; Kanoa threw down a 7.77 for a winning 2 wave total of 15.44. Noah made a late charge but came up short at 13.43, followed by Beyrisk De Vries and Oney Anwar. 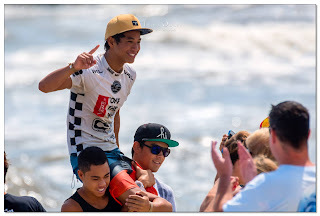 In the Vans Jr Pro championship, congratulations goes to Seth Moniz, who held off Griffin Colapinto, Gabriel Farias, and Stevie Pittman for the win. It is really cool to witness the future of competitive surfing putting on a show in your own backyard. I had the pleasure of photographing the 2nd oldest running surf contest in the world again this year. It is a contest that I have been attending since I was a little grommet. More post will come showing some of my favorite shots from the week.